It’s important to note: This type of “hidden” information is not so easy to find – but may save you a lot of money, prevent physical pain and spare you unnecessary emotional distress. Why Do I Do This For You? Well.. 3 words: Because I care! 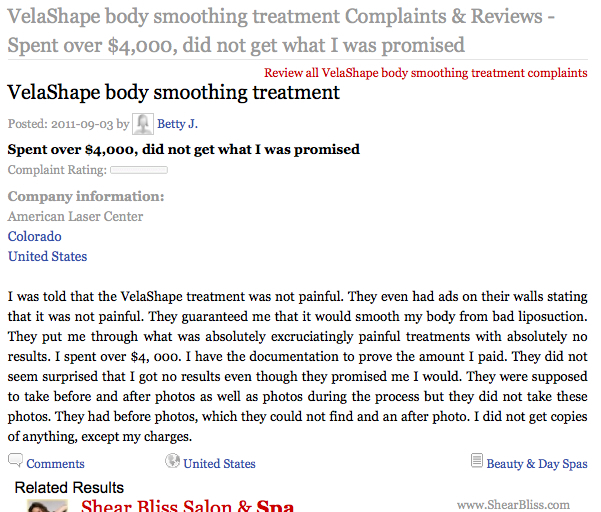 What About All the Other “Supposed” Cellulite Treatments Besides VelaShape? Well, I can only cover one at a time. 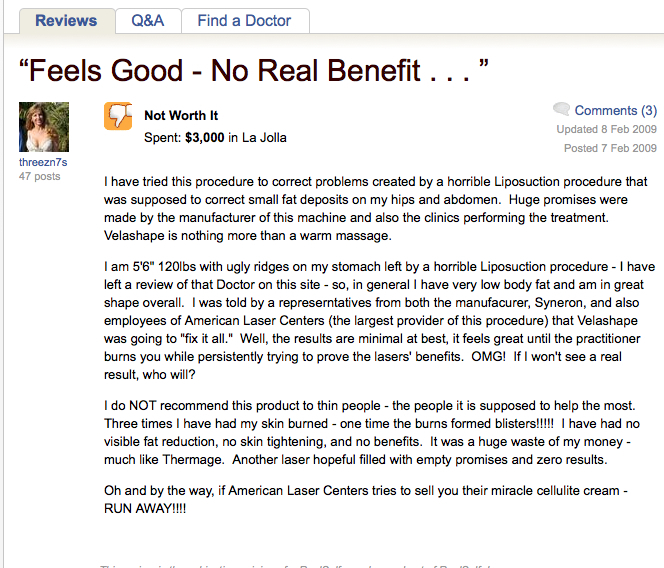 So stay tuned for more of these features on various reviews, lawsuits, complaints and adverse effect reports on all the ineffective products and services marketed as a treatment for cellulite. 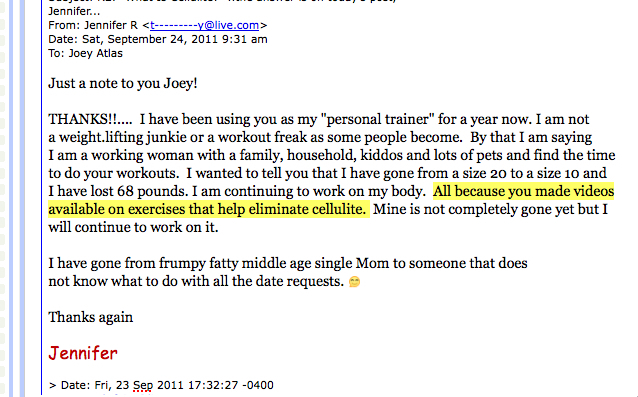 I’ve been asked to do an interview with a highly respected fitness model and transformation coach from Australia, on the topic of cellulite reduction through specifically targeted exercises – and we will be sharing that interview with you in the next week or two. What we cover in that interview will give you powerful insights into how your body is structured, how it works and what you can do to start seeing and feeling definite improvements in your worst trouble spots and problem areas….